Positioned at the heart of the Empordà district, the town of Begur and its beaches are one of the most wonderful spots on the Costa Brava. 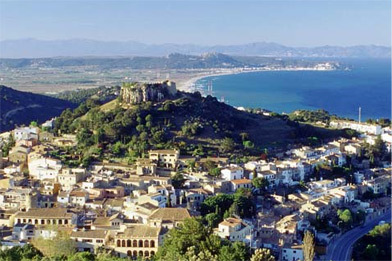 The municipality is made up of a number of hills known as the Begur Massif, and a stretch of coastline lapped by the waves of the Mediterranean. 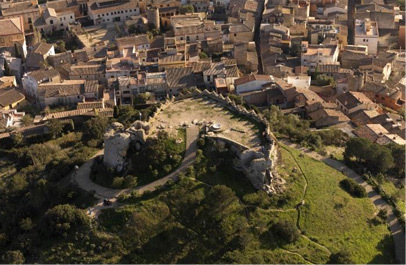 Both Begur old town, with the numerous landmarks that represent the legacy of key points in its history, and the small Romanesque settlement of Esclanyà, as well as the eight coves and small beaches that lie within its boundaries, make up a setting of unrivalled landscape.  Begur is a town with a profound sense of history. Protected by the mediaeval castle, coral collectors, fishermen, returned colonists and cork makers have written the splendid pages of a history reflected on every street, in every house and corner of the town. The most famous image of Begur is undoubtedly the mediaeval castle that overlooks the town, although there are plenty of other places of interest to visit, such as the numerous "Indies" houses (built in the colonial style by townsfolk who emigrated to the Americas in the 19th century, fleeing the economic crisis of the era, and subsequently returned from the colonies with a considerable fortune), the 16th-century defensive towers (a legacy of the period when pirates sailed the Mediterranean, built by the people of Begur to protect themselves against attack), the church (built in the Gothic style and dedicated to St Peter), as well as such other historic buildings as the Cultural Centre and the Old School. Esclanyà lies within the municipality of Begur, in the north-west of the borough. Up until the late Middle Ages it was owned by the Lord of Cruïlles. 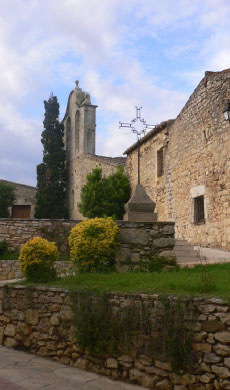 The village is grouped around the Church of Sant Esteve d’Esclanyà, for which documented records date back to the year 1280. The building features distinctive of different periods of the Romanesque from the 10th century onwards, suggesting the existence of an earlier place of worship. The castle, known locally as the Esclanyà Tower, is of 14th-century construction. The large, rectangular tower dating from the Romanesque era still stands, with battlements on the northern side.  The economy of Esclanyà is based on grape and olive growing, while tile production is the main industrial activity.